Multiple scenes of Sherman County, Kansas. In the photographs of the Rock Island Rocket, listed as fatalities of the wreck are C.C. Modlin the engineer, fireman J.W. Campbell, and the truck driver. 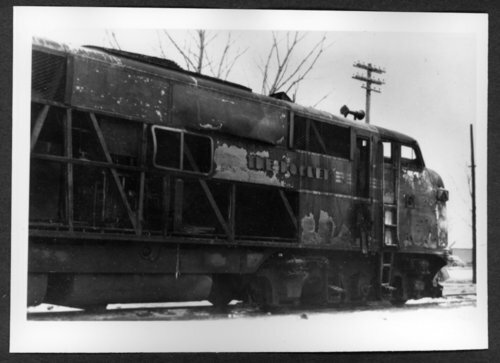 Scenes of Sherman County, Kansas - Rock Island Rocket #7, after it hit an oil truck and burned, December 23, 1947.